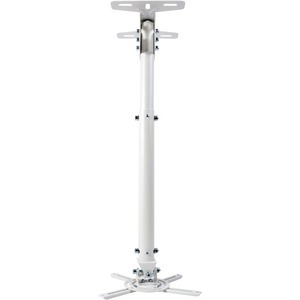 The OCM815W White Universal Projector Pole Mount is ideal for high ceilings. Easy to set up with its unique design gives you everything you need for quick adjustment, the flexibility to fit almost any projector and hassle free projector maintenance. It's the perfect universal projector pole mount.